Following major investment in the company, Ariel Luedi becomes Chairman of the Board of OXIAL, the Swiss GRC software company based in Cham in the Zug canton of Switzerland. The company also has offices in Morocco, Paris, Geneva and London. Ariel is a serial entrepreneur. He was a major shareholder and CEO of hybris software for eleven years, helping to develop the company and position it as a global commerce leader. Ariel‘s role was also instrumental in driving the successful acquisition of the company by SAP in August 2013 for more than 1B USD. 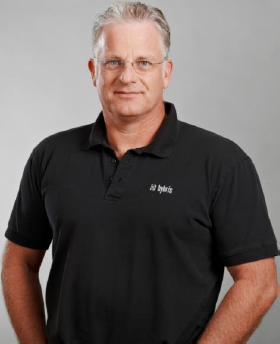 Prior to joining hybris, Ariel held various senior positions at Salesforce, Oracle and IBM. Ariel entered the realm of e-commerce in 1996 at BroadVision. Ariel studied Physics at ETH in Zurich. 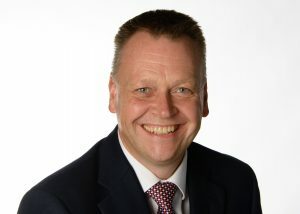 To further the expansion of OXIAL, Darren Short is joining OXIAL UK Ltd. as Sales Director, UK and Northern Europe. Darren will be based out of the UK and will be responsible for generating sales across the region, working closely with the Swiss- and French-based OXIAL teams as well as helping to develop presentation and customer-facing collateral in English. He joins us with over 30 years of sales experience in the Information Technology and Services sector where he has held a number of senior UK and Global sales roles in companies such as LexisNexis UK and Thomson Reuters. Darren holds a postgraduate diploma in Management Studies from the University of West London and a HNC in Mechanical Production Engineering. Since the outbreak of the 2008/9 financial crisis, a wealth of legislation and regulatory requirements have been established by authorities on both sides of the Atlantic. Considering the external risk environment, plus changes to internal business environments and the aforementioned regulatory enforcement, banks and insurance companies must strictly supervise their three lines of defence: risk, control and audit. OXIAL provides next-generation GRC software solutions that eliminate the main flaws of current GRC software packages, like long implementation time and complex change management. OXIAL’s offering enables interoperable software modules for comprehensive management of risk, internal control and internal audit, allowing the safe and phased implementation of a tool for managing enterprise risk. GDPR is coming – are you ready yet?